Many leading brands of mouthwash contain alcohol, and finding out the exact content of alcohol in your mouthwash can help you understand the risks if you drink it. Finding out the exact alcohol content in different brands of mouthwash can help you avoid an unintended conviction for drunk driving and help reduce the risks that are thought to be associated with mouthwashes with high alcohol content. Beer has between 3 and 8 percent alcohol, wine has around 12 percent, and spirits such as rum, whisky and vodka have around 40 percent. Listerine is one of the most well-known brands of mouthwash, and also has one of the highest percentages of alcohol. The alcohol content of ordinary Listerine is 26.9 percent. Some different varieties of Listerine have an alcohol content of as low as 21 percent. Listerine hit the news in 2005 when a driver was arrested for driving under the influence after quaffing three glasses or Listerine before heading out in the car. She ran into the back of another car at a stop light, and failed a breathalyzer test when it was issued. Colgate mouthwash has a lower content of alcohol than Listerine, but it still contains 15.3 percent alcohol. This is more than most bottles of wine, so despite the much lower percentage, caution should still be exercised when using this mouthwash. Some researchers believe that mouthwash which contains alcohol can increase the risk of developing oral cancers (as alcohol does); particularly because mouthwash is swilled around in the mouth, giving the alcohol longer to be absorbed into the cheeks. Cepacol brand mouthwashes contain a slightly lower amount of alcohol than Colgate, coming in at 14.5 percent. This is still stronger than many bottles of wine, so spitting the mouthwash out is advised. Many people believe children are particularly at risk from the alcohol content in mouthwash, with some risk of death for younger children. According to Dr. Dan Peterson of Family Gentle Dental Care, children weighing 26 pounds or less can be at risk of death after consuming 5 to 10 oz. of alcohol-containing mouthwash. 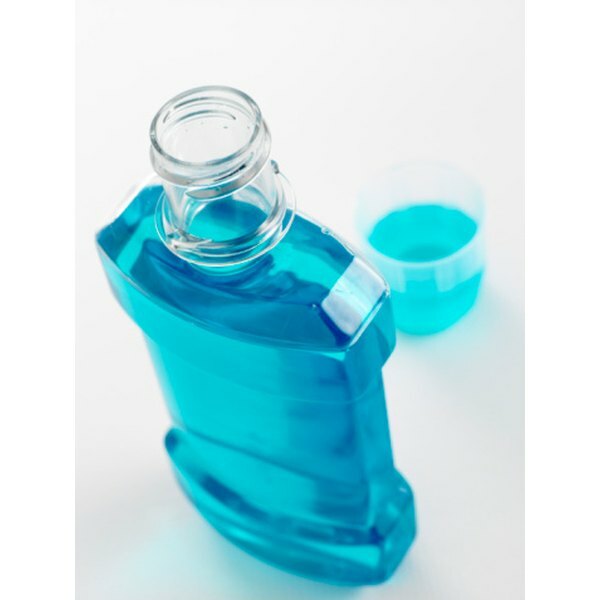 The potential risks associated with the alcohol content of different brands of mouthwash have prompted many manufacturers to release alcohol free varieties of mouthwash. Colgate, Oral B and Listerine are three examples of companies that have released alcohol-free mouthwashes. This is a much safer option, and removes most of the risks associated with mouthwash containing alcohol.